Oh, how we love the great outdoors! I’ve found that sometimes the simplest outings are the best. 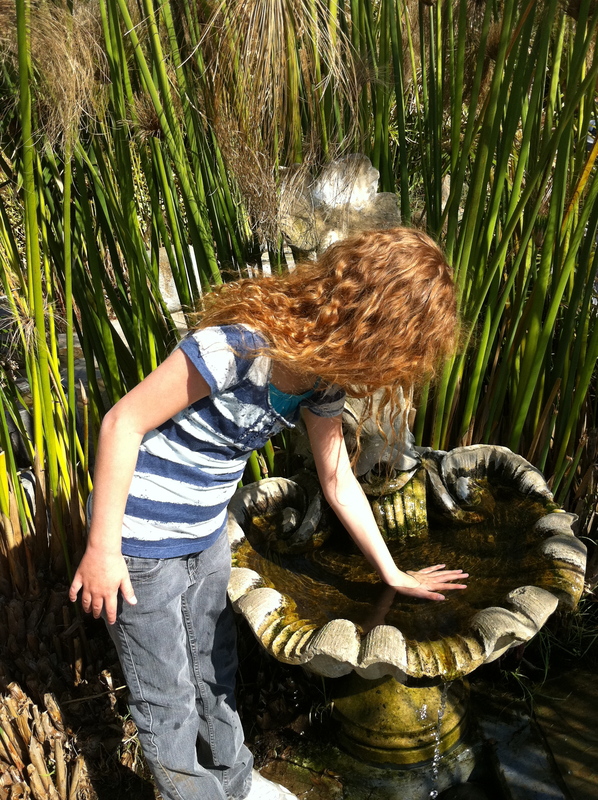 On President’s Day, we took a trip to Huntington Gardens. It’s one of those things that I initially wanted to do out of guilt and because everyone else on facebook was posting all the great things they were going to do for the holiday. You know how that goes! But I got really excited about it. We were over-due for an outing – we needed to escape the house! I was going to drag our butts off the couch, by God! I pumped myself up for doing something as a family just like everybody else. When I think back, my favorite memories from childhood were going down to the creek to swim or fish, playing in the woods, or the times we would build a fire and sit under the stars. I’ve been trying to make more of an effort to take our family on outings away from the house. Sometimes it can feel like we are all trapped at home – isolated in this three bedroom box with doors and windows. It’s good for all of us to just put the stress and expectations of daily life on the shelf for a while. So we packed up as little as we could and headed off to the gardens. We decided to go there because, when I asked Emma what she would like to do, she typed out “I would love to see a pretty garden”. The car ride was a little hard as Emma is having a hard time when we stop or slow down for any reason. But I know that it’s something that she has a hard time controlling, so we just try to work through it. We lucked out to have an unbelievably gorgeous day that was warm in the sun and cool in the shade. 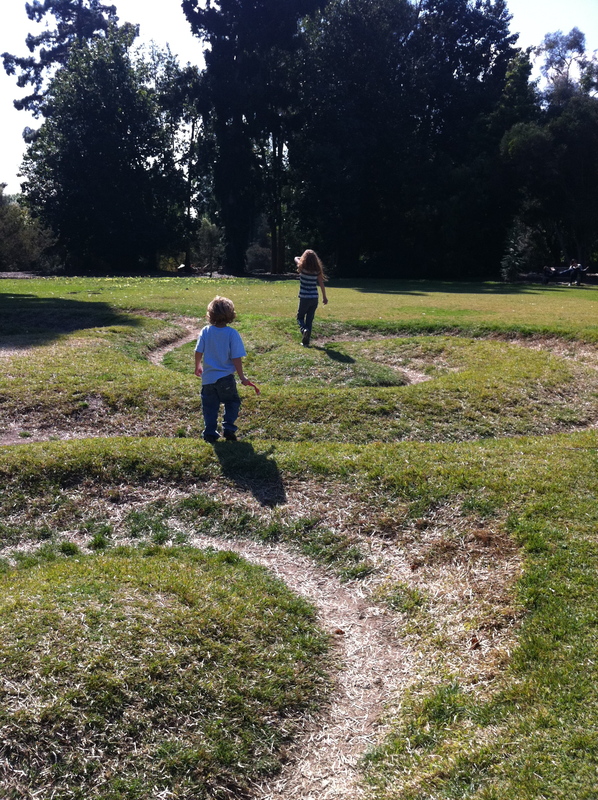 The great thing about the gardens is that the kids can just walk and walk and we don’t have to stop for a crowd or worry about going in a specific direction. WE are totally free!! OH, how I loved running through the woods as a child. I watched the kids run ahead of me and had to stop myself from tearing after them every time they got more than a couple of yards away. I’m so used to being totally overprotective that it takes some effort to watch them run and explore. Gosh, they must feel a little smothered by me at times. But I hung back. I want them to have this freedom so badly and it felt so good to let go a bit. The cactus garden, koi ponds, Japanese garden, greenhouse, Chinese pavilion, streams and the hands-on children’s garden – we saw it ALL! We even diverged off the trails and felt like real explorers. It was exhilarating to be in nature. Hayden ran through the trails, saying “Garden, garden!” and Emma listened to the water and felt the breeze. I know that Emma and Hayden have a different set of circumstances than I did as a child, but when we’re walking on the trails or watching the water fall, I am reminded that we share a love for the same simple pleasures. I think our biggest love, however, is just being together. Sometimes I make slide shows of different things, mainly because I love pictures and music, but also because the kids love to watch them. Another thing we have in common. I decided to make a slide show of our outings to the great outdoors so we could watch it when we’re feeling cramped up in the house. We can watch it and remember the stream, big koi fish, blooming flowers, and the soft breezes. And for those few moments, we can place our worries on the shelf again. 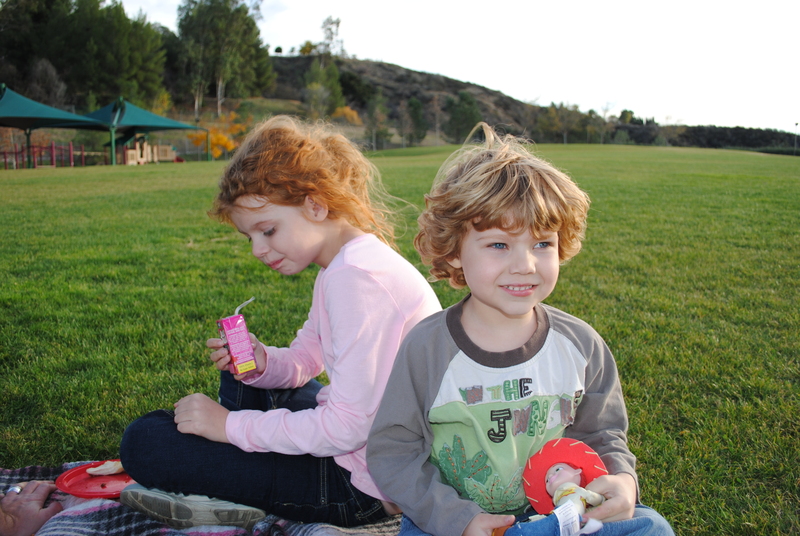 Here is a slide show of a picnic in the park and our visit to the gardens. The song is Moth’s Wings by Passion Pit. Thought I’d share! LOVE the photos — they look so happy, and so do you!! You are an amazing photographer. When the kids are older, they will also have their own memories of places you taken them. Your collage is beautiful. Keep it up! A Lovely Family Day a gift of nature. A wonderful day! It’s so obvious when looking at the slide show. You’ll definitely have to do a repeat soon.